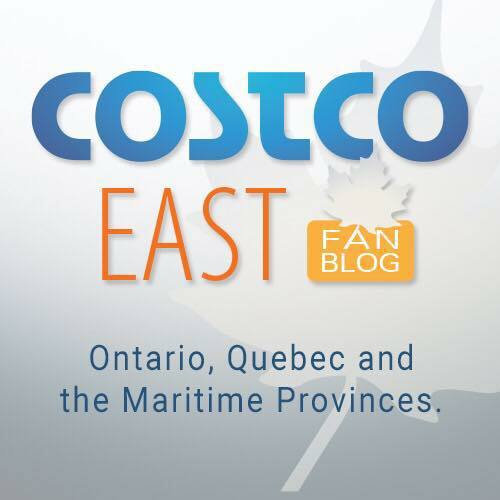 As most of you who have been following my blog know, I am one of Costco’s biggest fans. I go almost every week and walk the entire store to check out every deal I can and share the deals with everyone. So after a couple of years in our house, I decided that it was time to purchase some new blinds. On Costco’s website, I noticed that Costco – Hunter Douglas Window Fashions and I decided to go with them to fit up our house. Unfortunately, both the product and the service was not up to Costco’s high standards. If I had to choose a blind provider again, I would not choose to go with Costco. I just want to outline a few of the failings here and perhaps save some people some time, money and frustration. When the blinds were installed – one of the window coverings was missing. It had to be remade and took a couple of extra weeks to come in. Every blind that we ordered for our bedrooms (5 blinds) was defective. The blinds would not stay open an would slowly fall closed. When reporting this warranty problem, the company said their policy was not to remake the blinds – they would only take the blinds away leaving us with no blinds until the problem was repaired! After speaking with the customer service representative, I told them that we have a baby and that we needed some kind of covering so the baby can take naps during the day. The representative told me that they could remake the blinds in the nursery and take the rest back for repair. A couple weeks later, the installer called me to say that all the blinds (all five) were remade and set up a date for installation. Yay! The installer arrived with only the blinds for the nursery :(. Confused, he realized that he read his work order wrong and that he was meant to collect all the other blinds for repair. The installer takes all the blinds away from the other bedrooms leaving them completely bare. It is a good thing we have a curtain in our room! When I called to follow up with the sales person – she stated that there is not much that she can do – she doesn’t work for Hunter Douglas, but the company that Costco subcontracts to do the work. With all that being said. These blinds weren’t exactly cheap. If I had purchased them from Costco, I would be returning them for a full refund. Since Costco subcontracts out all this work – this is not possible and methods of recourse for sub-par service and product are not there. Unfortunately, it has scared me away from using any of the other products and services offered by Costco like the HVAC or garage installations. I’m always work to make sure everyone is aware of the great deals at Costco – and thought that you should know about the bad ones as well! EDIT 3: (2017-06-14) My blinds above my patio door have failed. The installer has arrived to look at the blinds and determined that they needed to be remade. The installer mentioned that the quality of the blinds have decreased in the last couple of years. The contractor Custom Decora has told me that it will take 2 weeks to re-make the blinds. EDIT 4: (2017-07-14) I have not heard anything from Custom Decora. I had to call them back to find out the status of the blinds. They have told me that they don’t know why no one contacted me to tell me that the blinds were delayed. Apparently the blinds have been shipped out and have sent instructions for the installer to contact me. Yup, this is why I avoid their services. It’s one thing to buy direct from a company, but everything else is subbed out and who knows what you’ll get. Sorry they failed you here. Next time you should complain directly to Costco. I had an issue with two air conditioners that Costco subcontracted the work to another firm to complete. I paid nearly 10k for these 4 units and to have two not work was unacceptable. I went back and forth with the contractor and was getting nowhere. Eventually I complained directly to Costco Canada in Ontario and got a response from them. After 5 months from the date I purchased them and had them installed Costco sent me a refund in the amount of the two AC units. Shortly after I noticed that Costco switched to a different AC contractor in their BC stores. I also tried to go through Costco for blinds, but was blown away by the high price point and low amount of costco gift cards in return. We went elsewhere and had great success. Everything you spoke of was exactly what our consultant said about Hunter Douglas and said to steer clear. We went with Graber who is less expensive and allows you to keep your blinds until the replacement one comes in (if you have an issue). This is not a Costco problem, but Costco really should look into switching blind companies with a return/repair policy that matches their own. So sorry for your frustration! That’s miserable. We went with Gruber through Costco as well and had a good experience. I chose to hang all the blinds myself and save some money which wasn’t all that difficult to be honest. One of the large blinds had an issue with being extremely stiff. They shipped out a replacement and I returned the defective one to our local Costco warehouse after I installed the new one. I was told that Costco stands behind all of these subcontracted products/services the same as they do for all of the other products they sell. I would definitely speak to the customer service people in your local warehouse and/or write to them via the website. They know that they bring a LOT of business to these companies via the Costco name, so I’m sure they must hold them to high standards for service and product quality. They would definitely want to hear about issues like this! Thanks for sharing – even if this wasn’t a great experience. Thank-you so much for your honest review. I follow your blog every week! Sorry to hear about your experience. I ordered several hunter Douglas blinds from Costco last year and it was an easy and simple process with no issues at all. I would report your experience to Costco so they can follow up with hunter Douglas and their sub contractors. Costco needs to be aware the people they dealing with are doing sub par work. 9 years ago, I too had purchased Hunter Douglas Blinds for my entire house. My experience was completely different. I live out of a major city, in the rural area. I called and had a representative return my call promptly. We had a discussion of what I was looking for. She came the next day, bringing samples of the exact materials I was looking for, and had excellent suggestions. She measured the windows, quickly gave me a quote, and the blinds were delivered and installed within two weeks. .
Again this was over 9 years ago, the blinds are still in excellent working condition and I couldn’t be more pleased. As you mentioned Costco contracts out for this service, they should be told so they can resolve the situation. Thanks for sharing your experience, I’m sorry it was poor. I’d contact Costco too. It can’t hurt. Thank you for sharing the good….and the not so good. This is valuable information to have available for future purchases. Yes they are 3rd party installer. Have you tried contacting costco online customer service? When I had the closet maid installer come for free estimation, he told me that if the customer is not happy, Costco won’t release the money to them. I purchased the cheaper Bali blinds through Costco’s site when they were on sale for our whole home and they have been fine. I have no experience with high quality brands so I can’t compare but these work well. No issues after a year of use. We did self install. I agree with Grayson. Complain to Costco and if this is what they do, they won’t be a supplier very long! That is the best thing you can do so they don’t continue to do this to others. A few years ago we needed to replace our furnace and Costco had a deal going with Lennox and a local company to install and I have nothing but good throngs to say about them. The company that installed the furnace were professional, cleaned up their mess, and even called a couple weeks later to see how it was going and call yearly to offer maintenance and cleaning services. We had a different experience! Our blinds developed small holes in the in my sons bedroom and they remade and sent it to the installer to be reinstalled no questions asked. I just sent a picture of what happened and withhin a couple weeks they were out replacing them. The guy we had also fixed my moms Hunter Douglas blinds bought from a different shop, that is now out of business. They couldn’t get the same fabric becauSe it was old so they gave her new ones. I couldn’t agree more with everything you wrote about Hunter Douglas Blinds at Costco. I had the EXACT SAME EXPERIENCE 6 years ago. The installer came in and the 75% of the blinds were broken, so he had to order new ones. It took another 4 months for the re-install to happen, and after 1 month, the tabs attached to the pull cord broke off. They are an inferior product. It took many many many many hours of me calling Costco, the “Designer” Salesperson to finally get the number of the company they subcontract to, who ultimately sent me a few hundred dollar cheque for all the mishaps. I went with Hunter Douglas because of their reputation, but other friends have come forward telling of nightmares with them as well – particularly in the install and massive wall damage. My neighbour installed new blinds that were gorgeous and a fraction of the cost of mine. She went with a company on a neighbourhood flyer. When shopping for Hunter Douglas blinds this past spring I was able to find a better price through a small local dealer in Winnipeg. I found the same thing here in the Edmonton areas. Never assume Costco is less expensive. If you look up reviews on hunter Douglas blinds every single review i saw was negative. I think its safe to say bad company with low quality product. Thankyou I have been looking at blinds on Costco site as well. This changed my decision. I also tried to order a $1600. vanity last week which said free shipping. When I placed the order they told me my postal code would not qualify for free shipping. When I asked how much it would be she said she could not tell me the amount for 5 business days. needless to say I bought from my local company, delivered to my door. That’s interesting. We used them for counter tops a few years ago, and only because we used the company through Costco (we had to express our dissatisfaction to our local Costco) that we got action. The company themselves was shoving us off. But after we went to Costco we got a call and eventually got our counter tops replaced! Costco saved our hides, as that company didn’t want to lose the Costco contract. Wow. This is all really great information! I sell blinds, and this is why I don’t sell Hunter Douglas. I can’t leave my clients without blinds on their windows. For excellent quality blinds with a great warranty..,look at Shade-O-Matic or Graber. Thanks, I really appreciate the heads-up on this. I wasn’t aware that people have less recourse for sub-standard work if things purchased through Costco are sub-contracted out like that. When my water heater started to leak I called the Costco line; Rheem is the product line I think. Had to leave a message and didn’t receive a call back until 4 days later. Obviously we didn’t go with Costco. When I did get a call back we already had one installed. I was looking into Hunter Douglas from Costco too and the sales woman said if I’m not happy with them they can be fully refunded through Costco. I am a Hunter Douglas Dealer Inetwork the New York Long Island area http://www.wesellblinds.com and we offer Shop at Home Service , And in our opinion We have the Best Prices and service , here you Deal with the owner directly …..and Satisfaction is Guaranteed !!! You know, I bet you if you called the servicing company back about your issues and how you were treated that they would be willing to do something. I have personally dealt with the company in the past and even with mistakes made on other parties behalf they made it right and were wonderful people. I think you should give them a call! We had Hunter Douglas blinds installed when we built our house. There were defects with some of ours as well, but because we went through a home builder and not Hunter Douglas directly the company refused to do anything. And of course our home builder didn’t care since they were already paid! So frustrating! Hunter Douglas was disappointing for me as well. We have a wall of windows…21 remote blinds were ordered. When it was necessary to reorder the battery packs (12 batteries per pack) I was told that they no longer made them. Where was the lifetime guarantee?? Their solution was to redo the window coverings! I am disgusted with Hunter Douglas! I priced out both Costco and another company that provides Hunter Douglas blinds, the other company was less expensive by $350!! Do you homework and don’t assume Costco is less expensive! Costco has not sold any hunter douglas products in the united states since july of 2013. Thats 3 1/2 years ago. The graber guarantee is much better. They will send out a new shade to replace a defective one if it has a lifetime guarantee, which is the only kind costco will sell. There is another level of graber products without a lifetime guarantee. It costs less and is called Simple Selections. The headrails and tracks are a lesser quality to cover a lower price point. Also, graber does own bali blinds. Bali is geared toward the do it yourself crowd and can be purchased through costco online. Bottom line: there is a reason for price variations. We ordered kitchen blinds in October,2016. The sales person was very helpful showing samples and offering ideas.The blinds came quickly and the installer did a very good job installing promptly and cleaning up and removed shipping cartons. The next morning we noticed the blinds were coming apart.We called the installer who came immediately, took pictures, by then all 5 blinds were coming apart, and contacted customer service. They agreed to replace the blinds. The replacements arrived and were installed.Within a couple of hours ,the replacements began to come apart exactly like the originals.We contacted customer service and sent pictures 3 weeks ago Cuustomer service said Hunter Douglas wants to fix them. After 2 tries, we have lost confidence in Hunter Douglas and we have asked for our $ back. Don:Further to my comment,CDI, the company that reps Costco, called back and refused a refund.We called Costco Customer Service directly and sent pictures. CDI called and asked again that we let Hunter Douglas repair the blinds or apply the $ to another HD product.We said we had no confidence in HD.They then reluctantly agreed to remove the blinds and issue a refund.Keeping our fingers crossed it shows up on our card soon. Refund credited.Costco customer service followed up several times with us and I do not think we would have gotten a resolution without their help. I’ve heard this from many friends that shop at Costco… awesome deals to be had in store but think twice about purchasing Hunter Douglas Blinds from them because they contract it all out to another company. As a result, they don’t measure up to the Costco quality…they barely know the product and have little training. Plus, it took 6-8 weeks to get there blinds….which wasn’t cheap. I had a great experience with Costco and Hunter Douglas blinds. Great service, great price and excellent installation. You get what you pay for. Quality of my blinds are much better than any other blinds I have come across. We live out in Chestermere so Costco was a convenient option to have someone come out and give us a quote from Hunter Douglas. My experience was less then impressed and the knowledge or lack there of says a lot about the training or expertise they have when spending thousands of dollars. Fortunetly, I found a local guy from Chestermere named Dave that provides Chestermere Blinds, including Hunter Douglas. The company has been around a long time so they told me things I didn’t even know about our windows. Better experience for sure. We looked on Costco.ca and found window coverings and called a 1-800 number. 3 days later a woman called and set up a meet. She was extremely flakey and inexperienced providing us with “we can do that oh we can do that” when in fact they couldnt changing what we’d ordered many times for it to be made. This wasn’t an issue with us but here we are 9 months later fighting with Hunter Douglas through some woman in Oregon. Apparently Costco wipes their hands clean of anything after we signed. In fact Costco has no record of the purchase at all. It wasn’t cheaper so why did we order through them. There is no fall back – I can’t get my money back after replacing 12 of the 17 blinds they installed. 5 service calls from the installer ( making his cut every time he steps in our house – he doesn’t care). I wanted them to remove all the blinds and we’d go elsewhere but they won’t – ‘we’ll make it right’ but here we are approaching the one year mark with 2 blinds broken. One creeps up and doesn’t stay and the other is wrinkled beyond belief (5 attempts at them making that one) and you guessed it, our installer tells us each one goes into the garbage. They offered us $400 at first then $550 and now we’re up to $1100 returned – no we haven’t seen the money yet! Everything on the contract appears to show Costco.ca being the company to complain through but even their employee on the phone (very customer friendly) can’t find the purchase anywhere. He says he’ll call us back in 3-4 days – I’ll keep you informed if that happens. Whoever I spoke to in Oregon asked if I’m satisfied with the $1100 – I told her no but I really am tied here – there’s no where else to turn. So frustrating and I’ve learned something here – never buy through an online kiosk as it has no benefit whatsoever.